Programmed Brooklyn Rider with special guest Kojiro Umezaki at the 2011 River To River Festival. 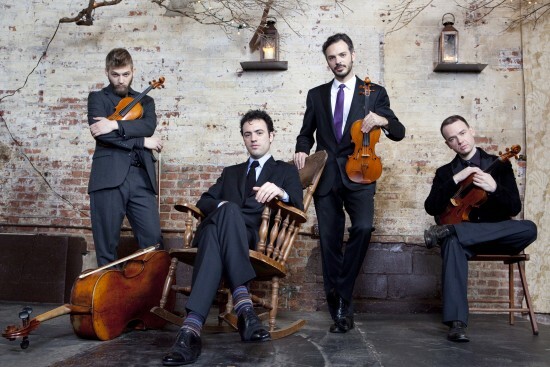 Hailed as “the future of chamber music” (Strings), the game-changing string quartet Brooklyn Rider offers eclectic repertoire in gripping performances that continue to attract legions of fans and draw rave reviews from classical, world, and rock critics alike. Brooklyn Rider is Johnny Gandelsman (violin), Colin Jacobsen (violin) Nicholas Cords (viola) and Eric Jacobsen (cello).